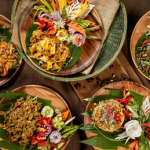 Just mention our promo code (“Malaysian Flavours”) when you make reservations for the Sizzling Reunion Dinner at Brasserie 25 through WhatsApp (+6018-648-4588), and you will get 20% off the bill! 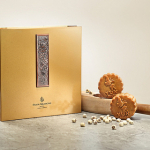 Celebrate this Mid-Autumn Festival with mooncakes from Four Seasons Hotel Kuala Lumpur specially made by Chef Jimmy Wong, Executive Chinese Chef of Yun House, and his team of chefs. 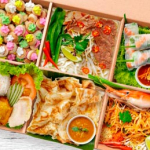 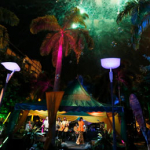 RWS Street Eats 2018 returns for second year at Resorts World Sentosa, Singapore, offering famous hawker food from Malaysia, Indonesia, Thailand, Vietnam and Singapore! 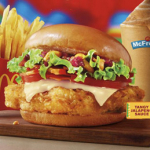 Mexicana Chicken Burger, Strawberry Custard Pie and Strawberry & Chocolate Ice Cream Cone is now launched in McDonald’s Malaysia! 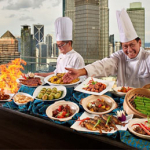 J’s Gate Dining at Lot 10 Kuala Lumpur level 4 brings together 18 of Japan’s best authentic cuisines featuring superior Japanese ingredients and hospitality. 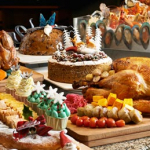 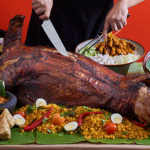 Celebrate this festive season at Renaissance Kuala Lumpur Hotel as WACS Global Master Chef Helmut Lamberger and his team have crafted superb festive feasts to please all palates on Christmas Eve, Christmas Day, New Year’s Eve and New Year’s Day.